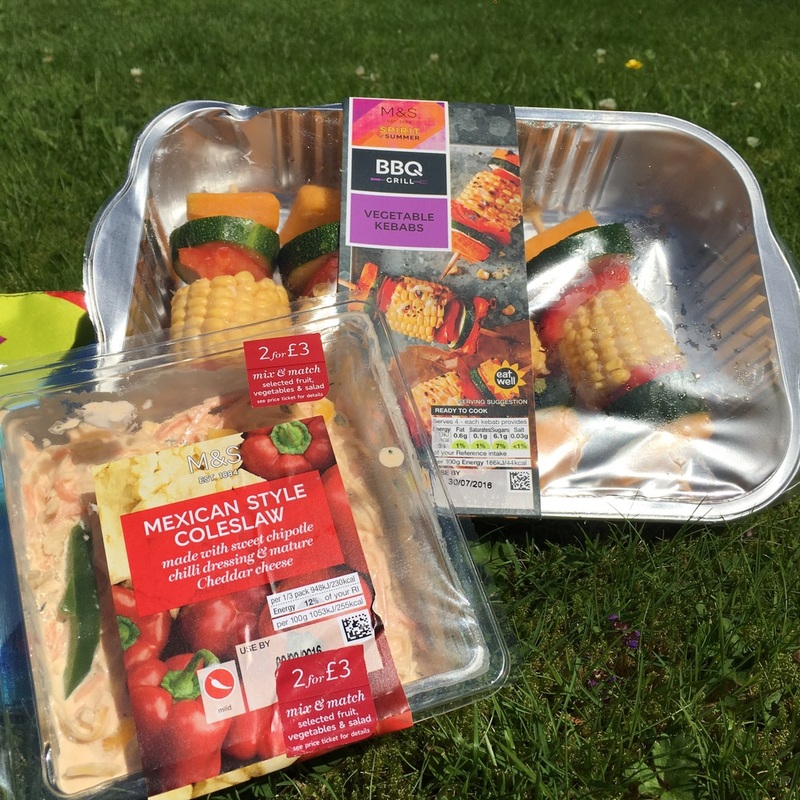 I've been waiting all spring and summer for good weather to do an M&S BBQ themed blog post, but as every week passed, the drizzle and rain continued. 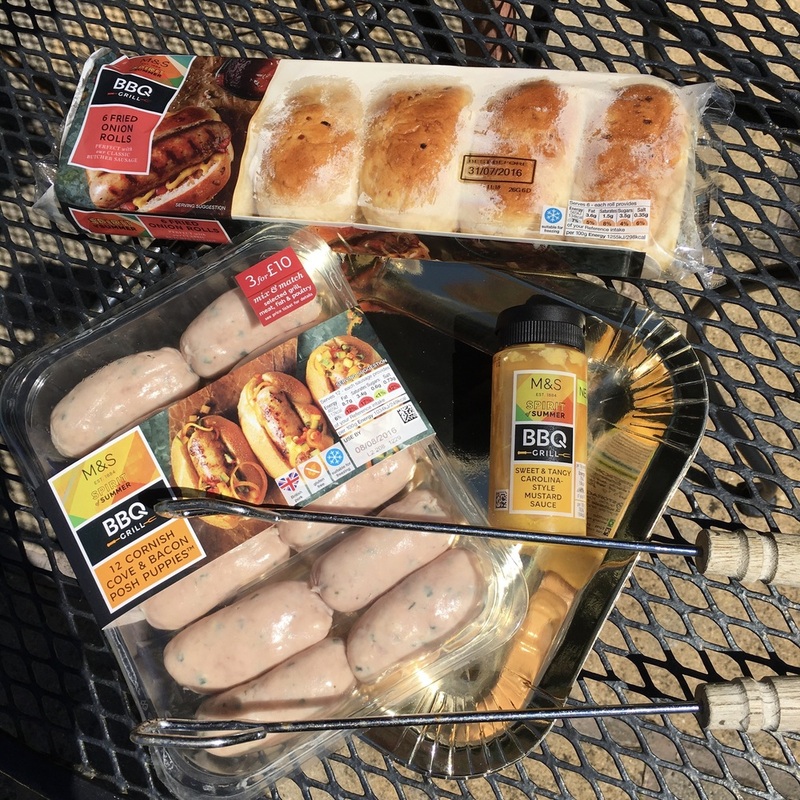 Last night I was organising today's visit to my local Bangor, Bloomfields Marks and Spencer with my PR contact, the lovely Stephanie, and I suggested in lieu of the needed weather, how about I went ahead and shared the amazing BBQ range with you guys anyway? 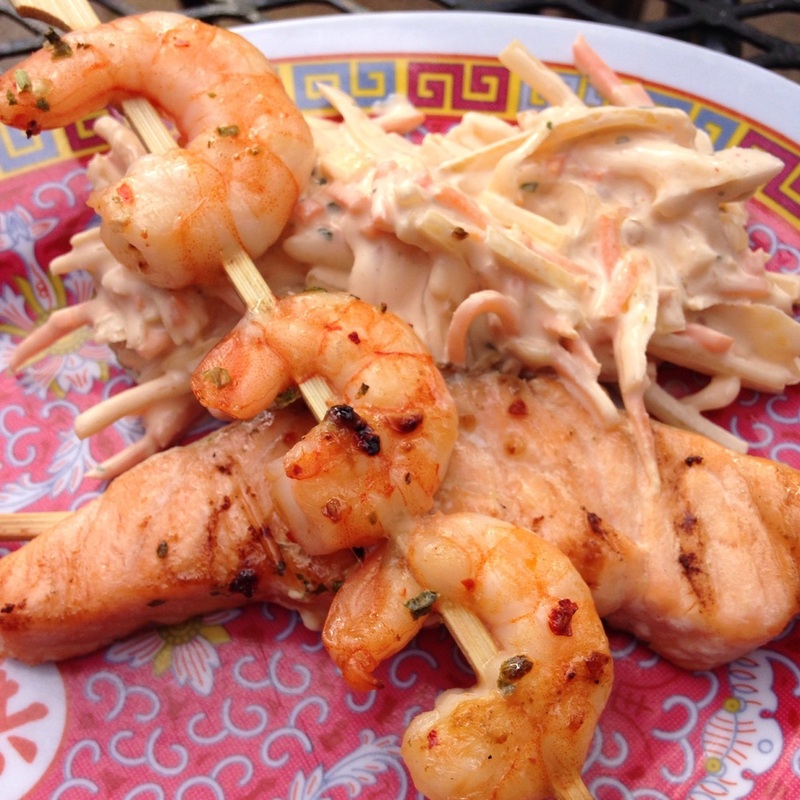 I could highlight that the meats & accompaniments are glazed and infused with great flavour already, so that grilling or oven cooking indoors will give you meals with that delicious BBQ flavour, without having to stand outside over the grill with a brolly up, for that smokehouse taste we love this season. The good news is that all the meats, fish & veggie options are part of the 3 for £10 mix and match offer. 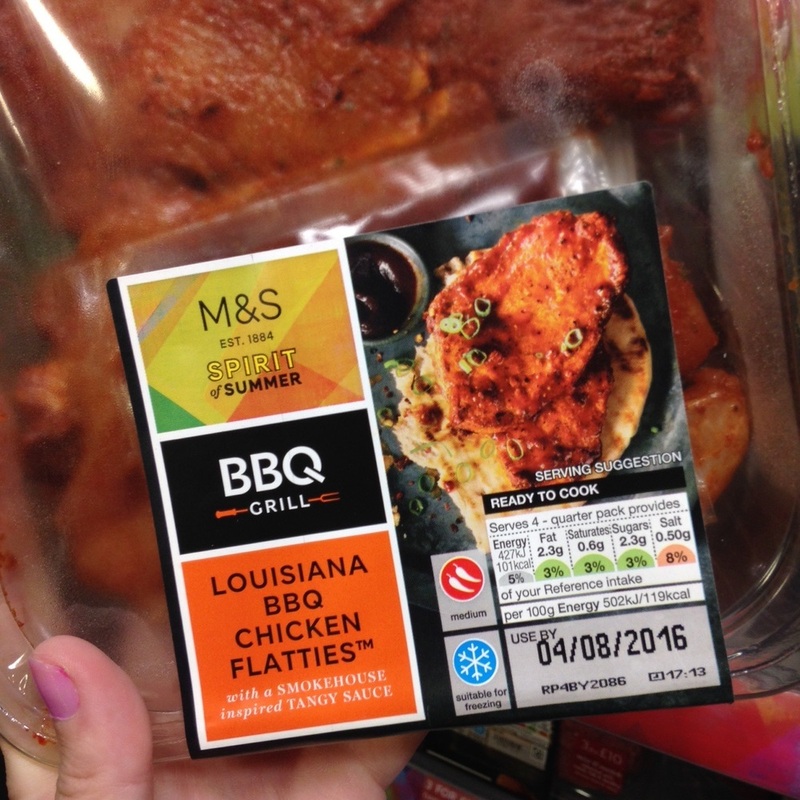 Most packs on their own to buy are £4.00-£6.00, so you are saving a couple of pounds, especially if you like the exotic seafood options, like I do. 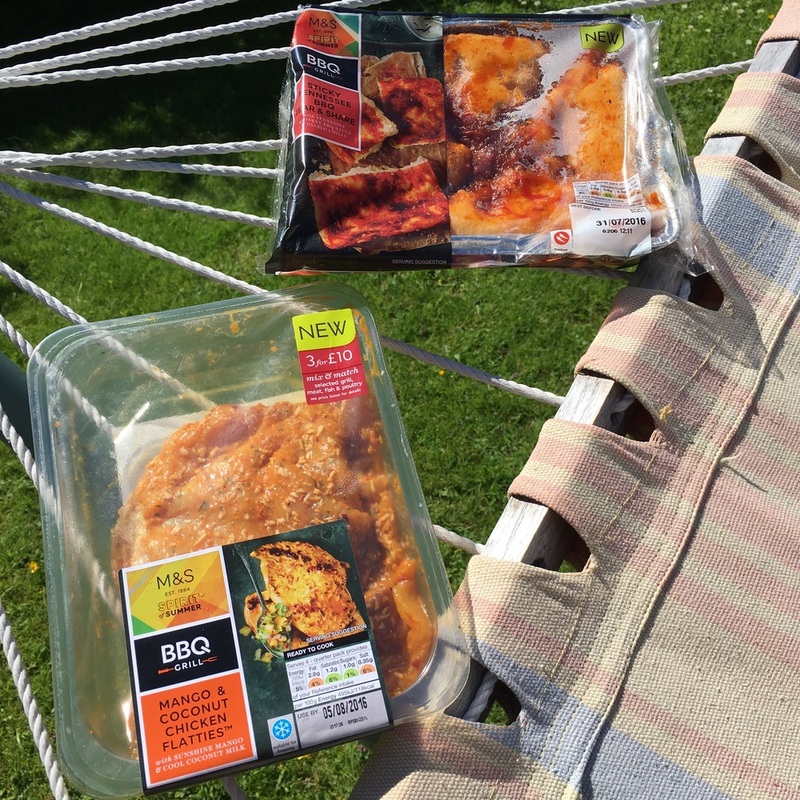 Now my title says I've picked the interesting, non-burger and non-sausage BBQ foods, but I have taken pics of the burgers and sausages M&S have available too, as you need those for the less adventurous palettes. 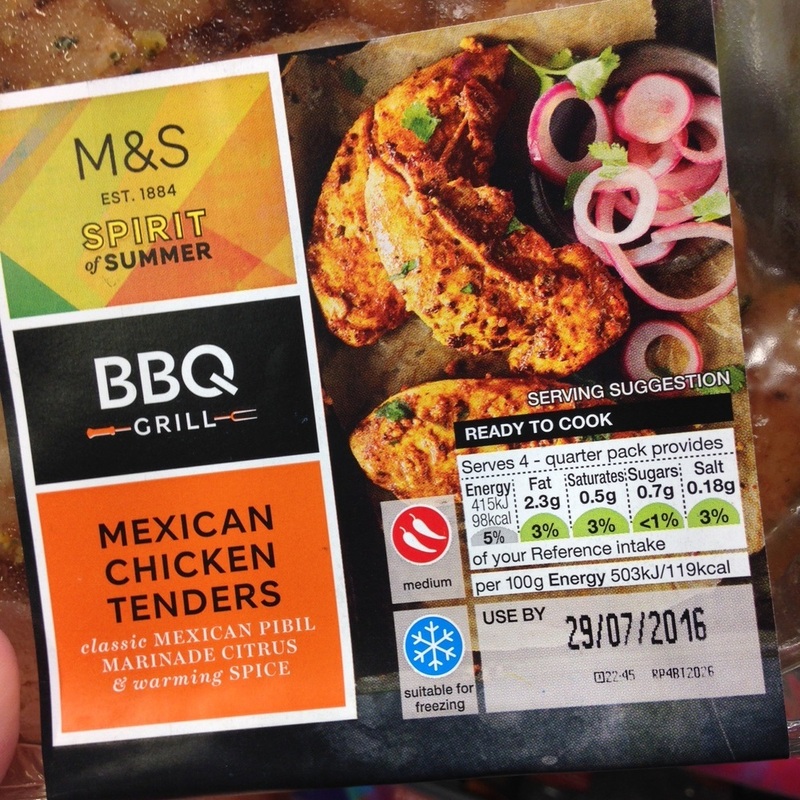 Of course as its Marks and Spencer's the burgers are the just plain burgers, but more later. First, some seafood. There was also a pair of sea bass that came wrapped in corn husking to cook on the grill that I liked the look of. Now the hot dogs! M&S are known for their summer 'Posh Dogs', delicious, plump bangers with accompanying brioche style posh dog buns. Cornish Cove (cheese) and bacon Posh Dogs next, £4.50 and Fried Onion rolls to stack them in for £1.80. The sunny yellow sauce is part of a range of refrigerated sauces I think you add to meat while you are cooking for an extra kick. They are £1 each. So finally, burgers. M&S have a good range of different types, Aberdeen Angus, Steak & Cheese, Venison, Peppered Beef, and my choice, Chorizo burgers, all in the 3 for £10 offer. Watch out for the cheese toppers in several flavours for £2, and the Ultimate Burger Buns in the bakery and bread department. So fingers crossed the weather holds the next few days, and we all get in a long awaited back garden BBQ! Smix getting his BBQ on, with his one, big, 'can-opener' tooth left after losing another this week!